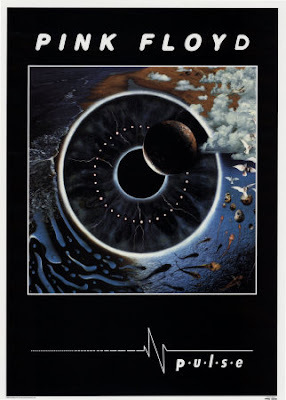 Pulse ( P•U•L•S•E ) is a live concert video of Pink Floyd playing at Earl's Court on October 20th, 1994 part of 'The Division Bell' Tour. 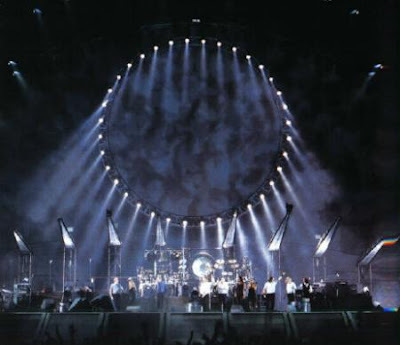 Pulse is considered by many to be one of the greatest light and sound concerts ever with Pink Floyd playing some of their greatest songs ever from 'The Dark Side of the Moon', 'Wish You Were Here', 'Meddle', 'The Wall', 'A Momentary Lapse of Reason', 'The Division Bell' ... 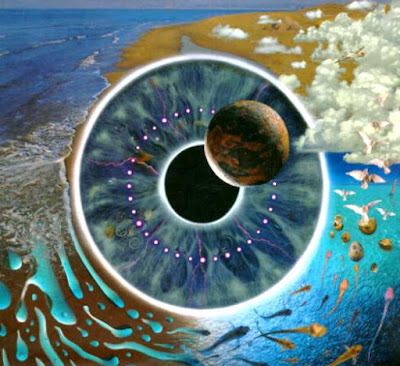 It also features "Astronomy Domine", a Syd Barrett song not performed since the early 1970s, as a tribute to the original Pink Floyd guitarist and song writer, one of the founding members of 'Pink Floyd'. 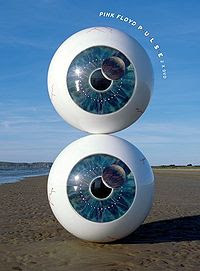 The original CD cover of Pulse, the live double album released on 29 May 1995 features an "eye-like" machine that has clock pieces inside, there is a planet in its centre, and on the outside it shows evolution as it moves backwards. It starts in the sea, moves to the bacteria which evolve into fishes, then into egg type creatures, then into eggs that hatch birds, and birds follow the trail of an aeroplane. There are six pyramids in the desert, and in the bottom of the sea, one can observe a city in the shore. where I can find the album (only audio) of PULSE live Earls Court concert 1994?